“Aphids, or ‘plant lice’ as otherwise known…” begins the description on a website talking about the subject of aphids. When put like that, it makes them seem even more disgusting right?! 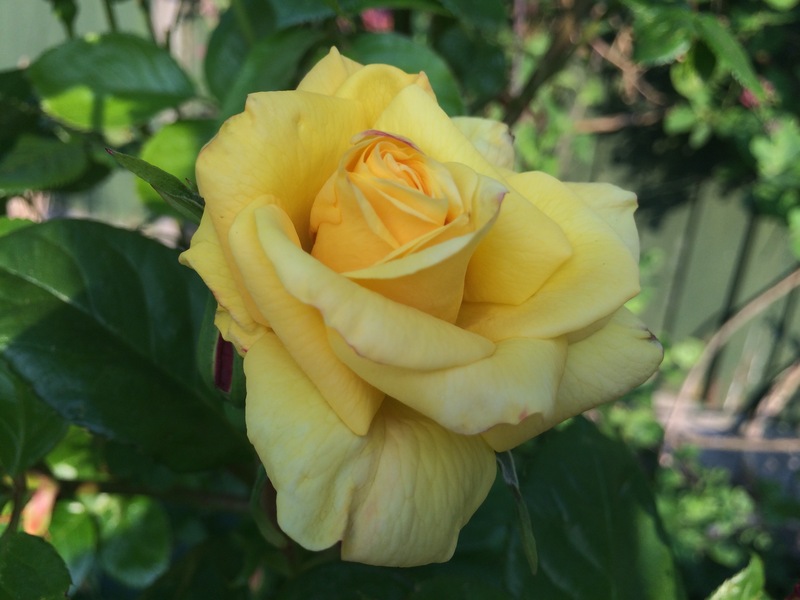 It made me more determined to get on top of the problem, and treat my affected roses. But before I get too carried away will aphid-annihilation, a fleeting, bothersome thought has floated into my head: “what is the point of aphids?” It turns out, they serve a purpose for the greater good of a whole food chain. There are roughly 4000 different aphids worldwide and they seem to provide food for a wider range of animals than any other invertebrate group! 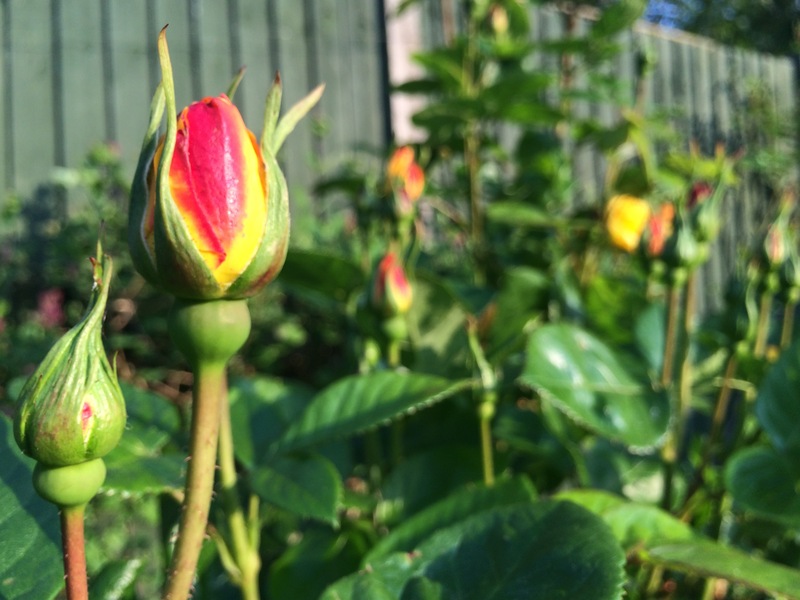 Given that fact, ideally to maintain a natural state of balance in your garden, I guess you need to aim for ‘control’ as opposed to ‘total elimination’ of these guys. I read an article explaining that the best thing you can do is to train your plants to be as hardy as possible: only directly feed a plant that is struggling, don’t add too much compost or manure once your soil has reached a good state, don’t over-water or over-protect a plant from wind or weather more than necessary. Apparently, if you follow these principles, an average attack of aphids will be like you or I getting minor cuts where we can repair ourselves. 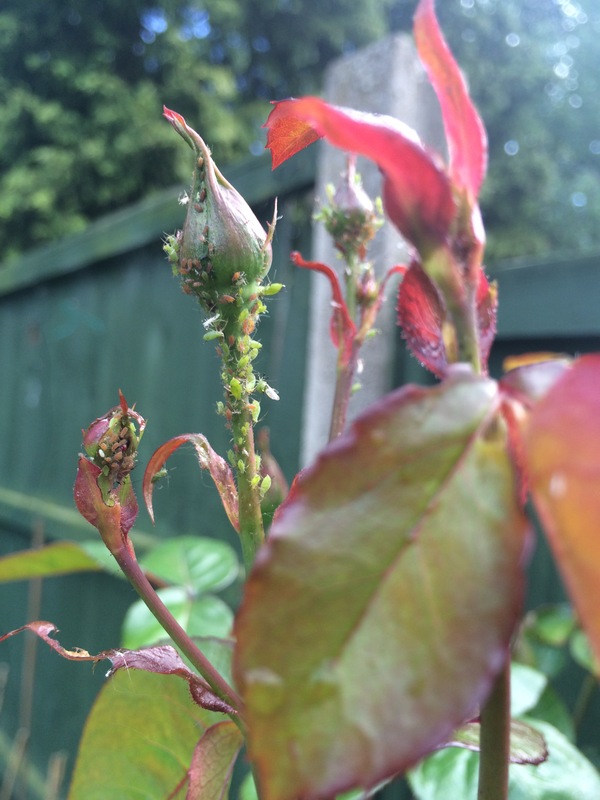 With roughly 14 different types of roses (a mixture of climbing, shrubs and minitures), spread over my front and back garden, the sudden, increased presence of aphids has been very notable. Today I spotted a ladybird which are known to be predators of aphids, so I am hoping they will get a good feed. 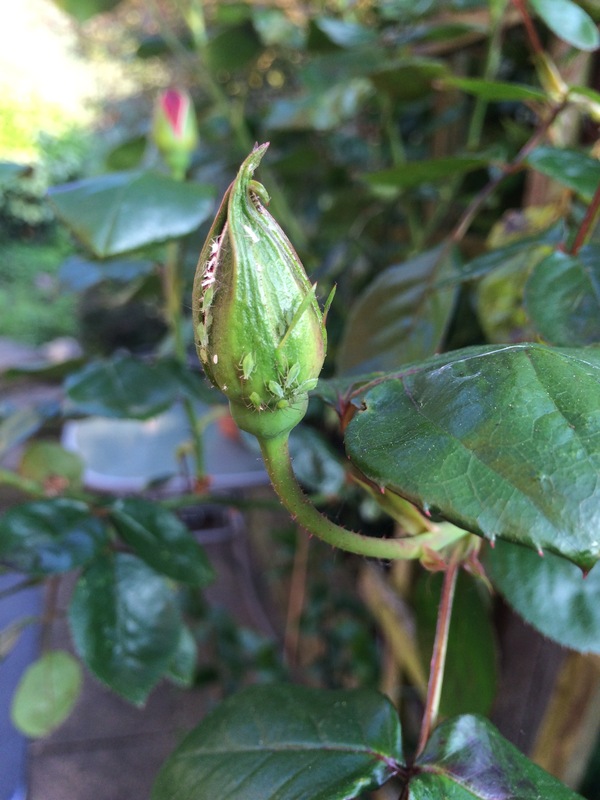 I am hoping that the presence of other aphid predators will also increase and that the two sides will balance out. But just in case, and because I am a bit of a control-freak, I’m pulling out the pesticide spray bottle from my garden shed for a bit of help, keeping in mind ‘control, not elimination’! Next Next post: They are growing!